We played with some of these ideas and colors for one of our table settings. Turns out that our tablecloth picked up nicely on the painterly look now in vogue for rugs. 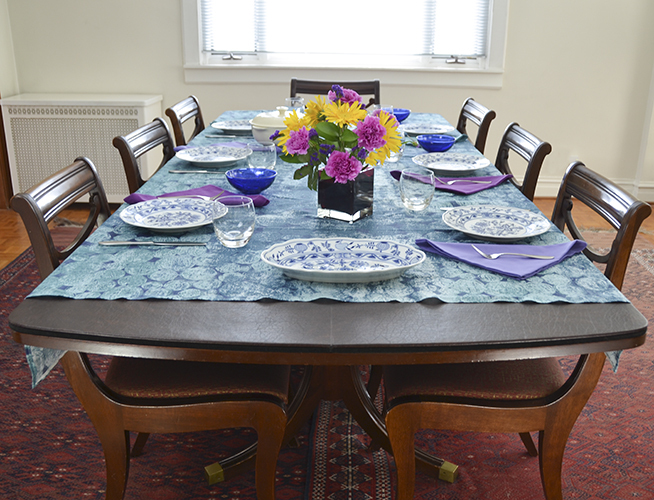 We added colored glass with our deep blue bowls which set off the understated tablecloth perfectly. The smoked glass vase was a final nod to current trends. Even if you aren’t redecorating an entire room, just trying out a few new ideas for your table can freshen up your look. It’s often as easy as using pieces you already have in new ways, rather than starting from scratch. Make trending colors 2015 work for you and have fun! Getting stains out of tablecloths is easiest if you can launder them right away. Unfortunately, that’s not always possible when you have house guests during the holidays. Still, the sooner you can wash a stained tablecloth the better. It can also be tempting to delay washing your tablecloth if you are not sure how best to handle a particular kind of stain. One of my New Year’s resolutions is getting stains out of tablecloths promptly! I plan to keep stain removal information at hand so that I have no excuse not to keep my favorite tablecloths looking great. Use a dull knife to scrape the wax from the fabric. For any remaining wax, place the waxy area between paper towels and press with a warm iron. Replace the paper towels as the wax is absorbed. Sponge or soak the stain using cool water. Pretreat it with a stain remover or liquid laundry detergent. Launder the cloth with fabric-safe bleach. 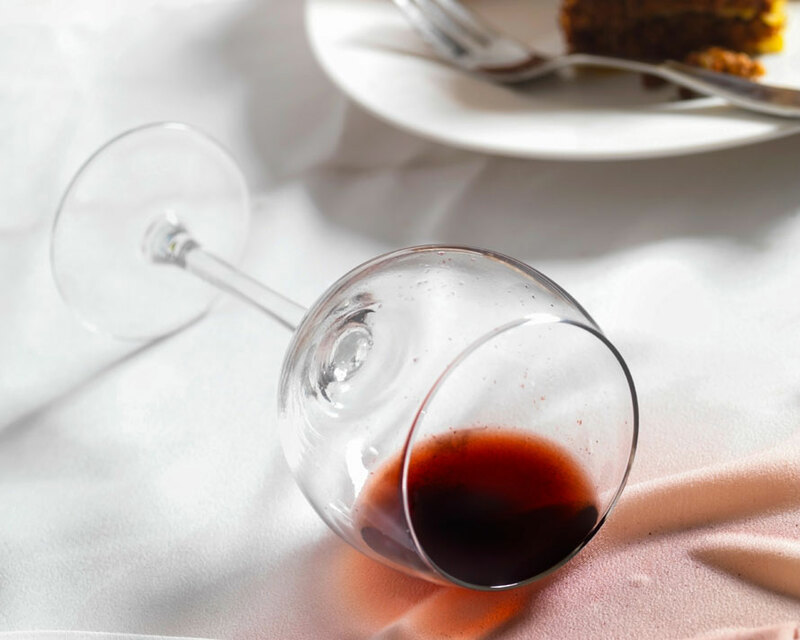 Finally, here is a tip from Superior Table Pad: while your tablecloth is in the washing machine, take a moment to wipe down the vinyl surface of your table pads with a damp cloth. Using a soft brush, gently brush off the bottom of your table pads. Now your table is ready for action again! 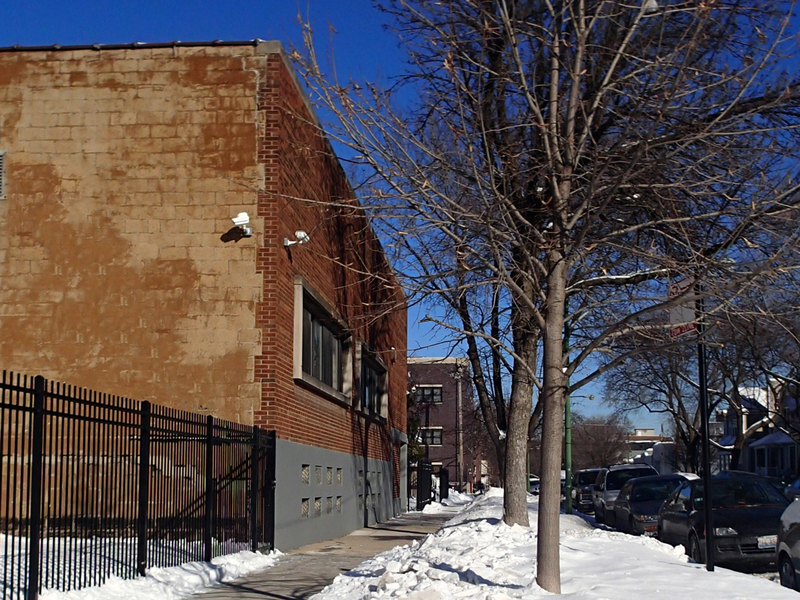 It’s sunny and cold here in Chicago today with snow on the ground next to our building. Great to be back to work making table pads after the holidays!